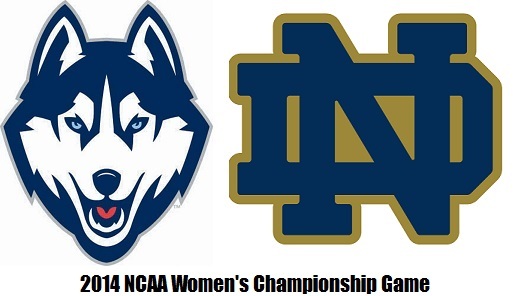 A day after the Connecticut Huskies men’s team won the NCAA Basketball Championship their women’s team will attempt the same feat against Notre Dame. Tuesday’s match-up between the UConn Huskies (39-0) and Notre Dame Fighting Irish (37-0) marks the first time that two undefeated teams will face one another in the Women’s Championship game. So when does the NCAA Women’s Championship game start? Coverage of the game between Notre Dame and UConn will air on ESPN at 8:30 pm ET. 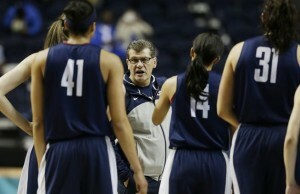 UConn will be looking for back to back Women’s championships and their ninth overall. Notre Dame owns one NCAA Women’s Championship from 2001. Both teams last losses came against one another. Notre Dame lost last year in the Final Four while UConn last lost in the Big East Championship. Who finds victory in this one? Copyright © 2013 Tireball NCAA Womens News, Rumors, Gossip and Opinions. All Rights Reserved.